In this fourth blog post covering aspects of best of breed (BoB) system architecture, we look at the advantages (and disadvantages) of buying a timesheet system. Probably one of the earliest computer systems developed for companies to use internally were timesheet systems. They have certainly been around on mainframe platforms for 50 years and as cloud solutions since the beginning of the internet. If you sell staff time (in whatever form) you need one of these (unless you really really love spreadsheets). So they are high on the purchase list for a best of breed architecture. Stand-alone timesheet systems are also quite cheap. So why is this such a bad idea? Of course, like all software, one description covers a range of choices. The first filter to understand is the difference between time and attendance and project-based timesheet systems. Really, for the commercial market (as opposed to internal market) project timesheets are the option to choose. Then if you are going to bill based on the records, you’ll either have a pile of manual work at month-end or you need to buy a timesheet and billing system which will do the rate multiplication for you. That’s all simple and probably not too expensive. So what are the downsides? CoGs Integration: if all you sell is time, this may not be an issue. But if you run projects that combine time with purchased items (or even just expenses), keeping the financial score will once again be a manual process, probably out of step with your monthly cost recognition processes and so injecting noise in month-end metrics. So, even the best timesheet system, on its own, will struggle to deliver customer, project and employee contribution without a significant manual effort in data cleaning and analysis. So, why do so many people choose this awful compromise? There is perceived to be no viable alternative - this stuff is always just a mess wherever you are, right? Well, no longer. All these problems can simply go away with the right integrated solution, probably at less cost. 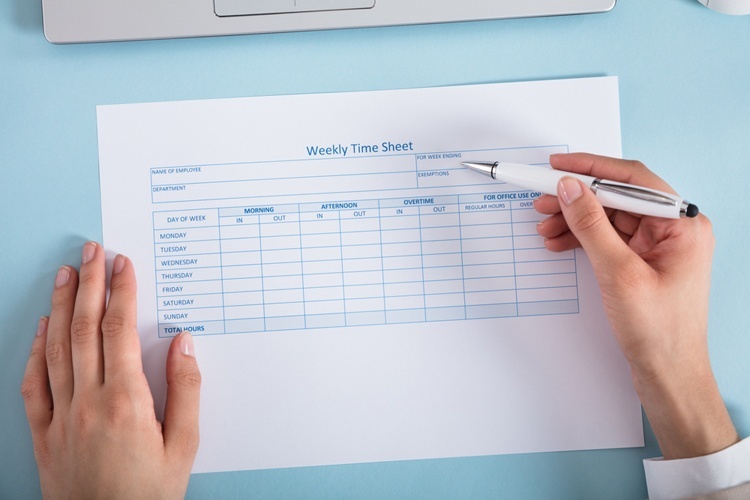 Timesheet and billing management doesn’t need to be an expensive mess, so don’t put up with it.